3 bedrooms, office and 2 baths. 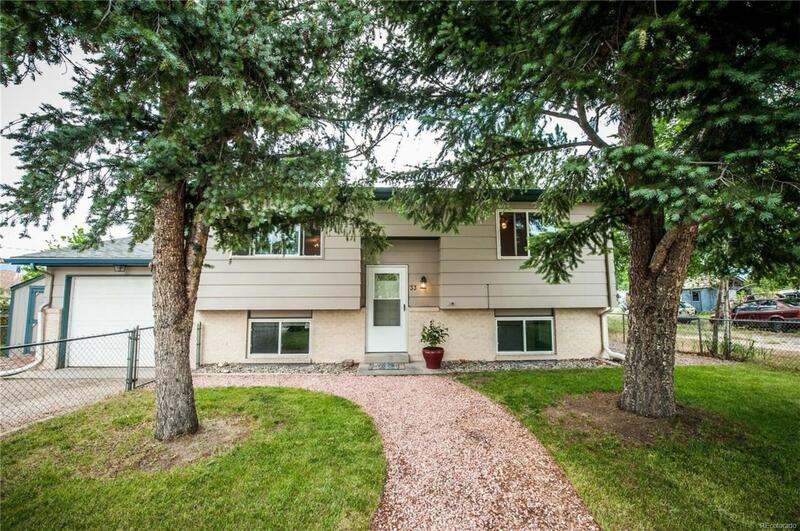 The main level is bright and airy with neutral carpeting, wood floors, low maintenance and energy efficient vinyl windows, remodeled full bath, two bedrooms and a walk-out to the back deck to take in the awesome views of the front range. The kitchen includes new Samsung stainless steel appliances including a 5 burner gas range, new sink, new faucet and an abundance of cabinetry. The lower level features a large family room with new carpet and wood burning stove, natural stone wall, wood accents, a spacious office with built-ins, an additional bedroom and a remodeled bath!